It was a soft and impressive victory recorded by Sound Works at Canterbury a couple of weeks ago and we are hoping that the promising daughter of Not A Single Doubt can go right on with it at the same track today. "She has trained on really well and should again prove hard to beat," said a confident Michael Moroney who has not ruled out a trip to Queensland for the flashy bay. "She is BOBS qualified so the money for her in Sydney is very good," he said. "But we may have a look at chasing some black type for her up north at some stage." To jump from barrier seven in a small field, Sound Works will again be ridden by Christian Reith. Later in the day we have another promising type in Fortune Patch lining up over 1250m, sneaking a run as emergency into the TAB Handicap. Also being ridden by Christian Reith and also by Not A Single Doubt, the lightly raced four-year-old is having his first run since his debut campaign last spring. "He has trialled up well," Moroney said, "and he has been working nicely. He too looks a top chance." Meanwhile at Sandown we have Lord Barrington also getting a run as emergency - taking his place in the Bushnell Handicap with Jordan Childs to ride. "He has struck a pretty strong race," admitted Moroney, "but in his favour is the fact that he handles the wet whereas some of his rivals are unproven in the going." "He will need to be at his best but that is where we think we have him." 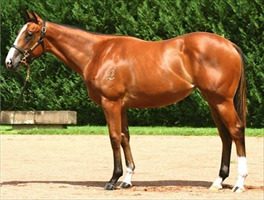 At Thursday's Werribee meeting we have three runners, the first of whom is Barraaj who contests the 1400m Maiden Plate. Game in the placings at his first two starts, the Iffraaj gelding has shown even more at home than those two good efforts suggest. "We can't actually figure out why he is still a maiden," Moroney said, "as he works much better than that." With the in-form Jake Noonan fresh from his first Group One success last weekend aboard from a nice gate (3) hopefully this is Barraaj's break through race! Topweight in the fifth event, a 2000m BM58 event, Cape Londonderry comes off an uncharacteristically poor run at Pakenham where he tired right out of it after leading. "He just didn't handle the synthetic and the rise in distance," Moroney explained, noting that the Pentire three-year-old is better suited back 200m on the turf. "He is down on class and on his previous form he is a leading chance." Contesting the final event is Bonnie Belle who was not far away when resuming, suited up to 1400m second up with Jake Noonan aboard. "She is going really well," Moroney said of the Keeper mare who has been competitive in stronger races.